Basically: A kids movie with a heart and something to say. You know, it’s funny, some moviegoers feel Smallfoot is an indictment of organized religion. Although there are a few winks to the wise old man / Moses figure, that’s not my interpretation. For me, the movie explores the mythology that shapes a culture and how those myths can begin to drag that culture down over time. It’s about xenophobia not theophobia and on that level it works quite well. I saw Smallfoot at a screening with four girls ranging in age from 7–9 and, honestly, that’s the best way to see it. We had a good time watching the story of Migo (Channing Tatum) and his journey to find the truth unfold. Migo is a massive Yeti (bigfoot) who lives high in the Himalayan mountains. His village is a happy place where they play strange games (to us), have rituals to awaken the sun, and live by a set of laws inscribed in stone. Their leader, the Stonekeeper (Common), maintains their way of life through constant correction and reinforcement of the laws. He’s an intense guy and you often wonder whether you can trust him or not. One of the most important stones tells the Yetis there is no such thing as a smallfoot—a mythical hairless creature with tiny toes—but if there’s no such thing as a smallfoot why do they need a stone to tell them so? That’s the question a secret group of four yetis: the brainy Meechee (Zendaya), the conspiracy theorist Gwangi (LeBron James), the zany Kolka (Gina Rodriguez), and the weasel-like Fleem (Ely Henry) ask Migo after he sees a smallfoot for himself and is quickly rebuked for it. Migo is a big believer in the truth and so sets off down the mountain, beyond the known world, to prove that humans do indeed exist. And if one stone is wrong, how many others are equally wrong? This is a fun, although imperfect, kids movie that actually has something to say about the way we treat those we see as “other”. It explores how fear of the unknown often leads to violence and violence leads to isolation. That alone makes it worth the ticket, but there’s also a hip-hop opus by Common that’s too good to miss. Down below the clouds Migo meets up with a self-involved fame hunter by the name of Percy (James Corden). Percy has a wildlife show on the verge of being cancelled and wants to spice up his ratings by pretending he knows a few fantastic beasts and where to find them. His producer Brenda (Yara Shahidi) warns him about the dangers of dishonesty but Percy wants the money and the notoriety, baby. With Migo seeking the truth and Percy building a lie, it’s inevitable the two will crash into each other. But their two ideologies will also clash and flip flop until they each figure out what’s truly important. The voice performances are very good and there’s lots of space for giggles. The filmmakers play with the slapstick outcomes of misunderstanding other cultures the way we often do in our own world. It’s also quite a pretty movie with an appealing color palette and design. Where the movie falls short is you never quite fall in love with its characters. Perhaps there’s so much worldbuilding that the character development gets the short end. There are also only two memorable songs and yet I only remember the content not the lyrics or melody. 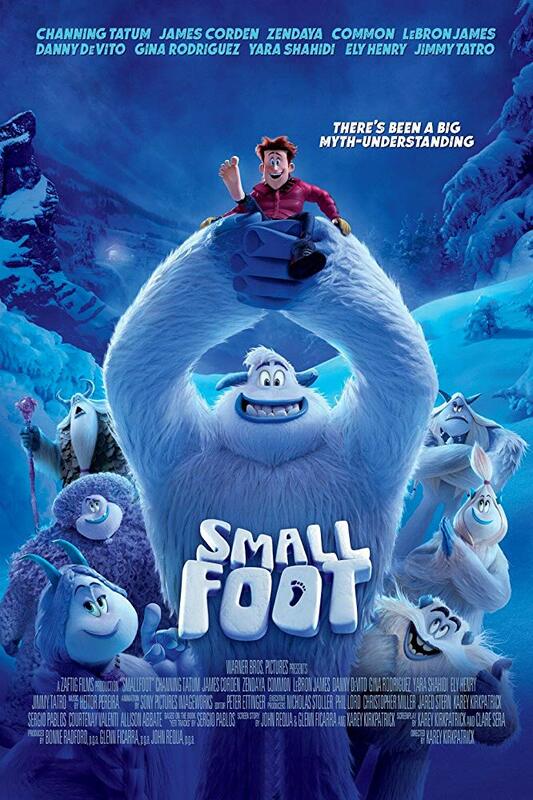 Still, the allegorical nature of Smallfoot is a good one for the entire family—almost like a Black Panther for kids. You’ll be all smiles with lots of excited chatter during the ride home. At least that’s how it happened with this big girl and four small ones. 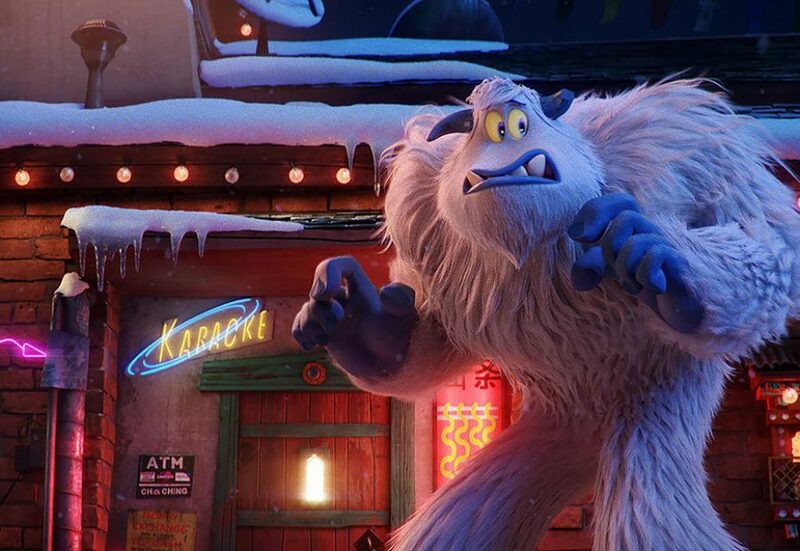 In the End: Take the kids to see Smallfoot for the fun, for the message, and for a nice time at the movies.